Watch the video or follow the steps below in the article to create a segment of customers who haven't made a repeat purchased from your store in X days and then automate a win-back campaign to them. 12. Compose your email with the drag & drop composer. 14. 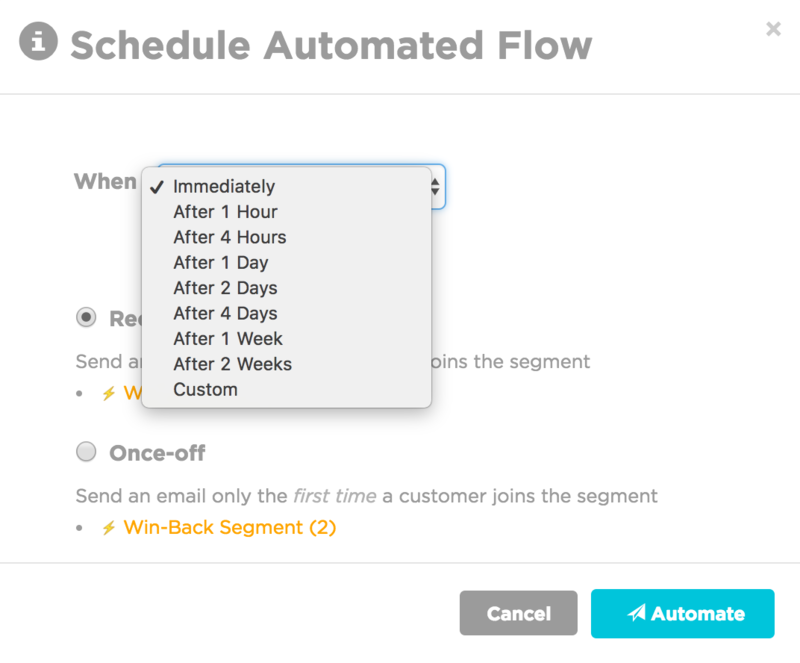 Choose Recurring so the win-back campaign will send every time a customer joins your win-back segment. 16. Repeat steps 9-15 for add subsequent emails to the win-back campaign.